The Buenos Aires Youth Olympic Games ever nearer; from Wednesday 22nd to Sunday 26th August, Argentina was the home for an ITTF/PTT Level One Coaches Course, no less than the 28th to be staged in the country, since the ITTF Coaching Accreditation System began. Synonymous with the number reached; a total of 28 students attended; proceedings being organised under the umbrella of ITTF High Performance and Development, the expert on duty was the host nation’s Alejandra Gabaglio. All responded the efforts of Alejandra Gabaglio, the desire to learn high, a new generation of young people wishing to pursue the coaching path. Attending throughout was Wiebke Scheffler, the ITTF Foundation Manager. She made a presentation about the goals and range of activities involved within the Foundation, highlighting the Olympic Bridge project which links the Buenos Aires 2018 Youth Olympic Games with the Tokyo 2020 Olympic Games. 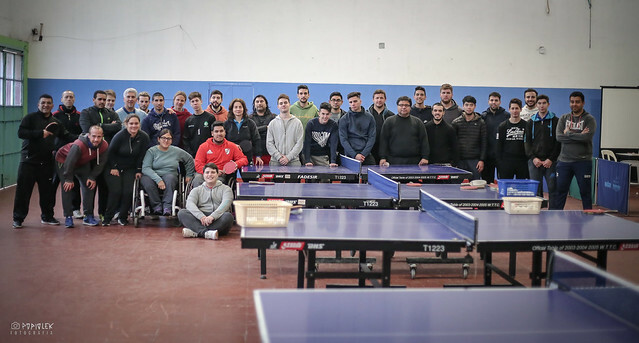 Notably present, a fact which added to the value of the whole itinerary was the attendance of athletes from the Argentina Para Table Tennis Team. They showed the participants the special characteristics and technical differences to be found between the various classes. It was seem course no.29 is imminent.